WOW. From Jasper to Lake Louise I had perfect conditions, and took gazillions of pictures. Because of the triple continental devide melt water from the Columbia glaciers flows into the Atlantic, Pacific and Arctic Oceans. I’m sure it will take many months to sort and edit. As for my journal, maybe a book is the fitting way to describe this adventure. My trip morphed into an incredible life adventure somewhere in the Black Hills. I guess it’s right to say that Medicine Wheel was a spiritual experience. My good fortune along the way is more than good luck or planning. Great HI Athabasca Falls hostel, staying 2 nights. Beautiful place. Staying 2 nights at HI Athabasca Falls hostel and it’s great with lots of friendly travellers. Wet roads, Plexus is my best friend. The rivers and streams are swoolen to the max. I decided to stay over until the weather improves. 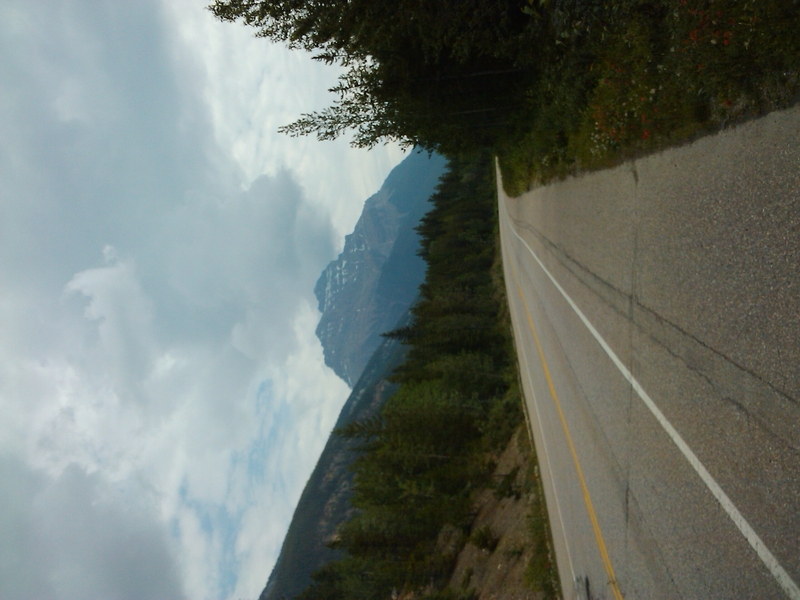 No sense riding to Jasper and not seeing any scenery. 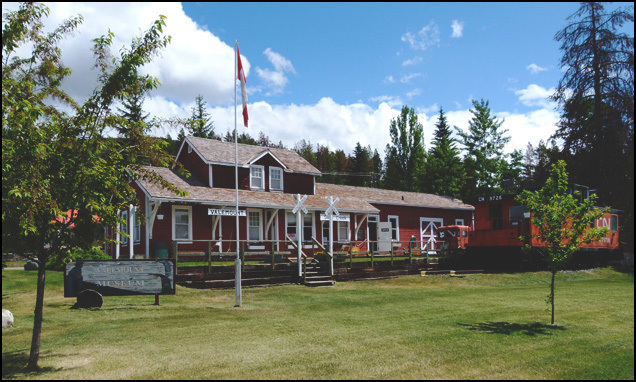 The Valemount Museum is worth a look. Far more to see here than you might expect; so plan to be here an hour or two. I was able to get a haircut and beard trim, thanks Sherri. 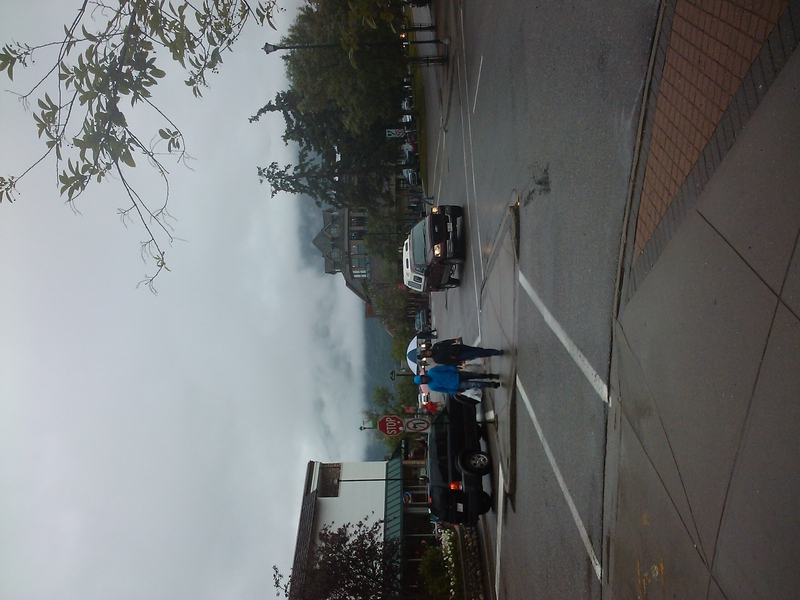 Staying over at the Valemount Hotel, hoping for better weather tomorrow. 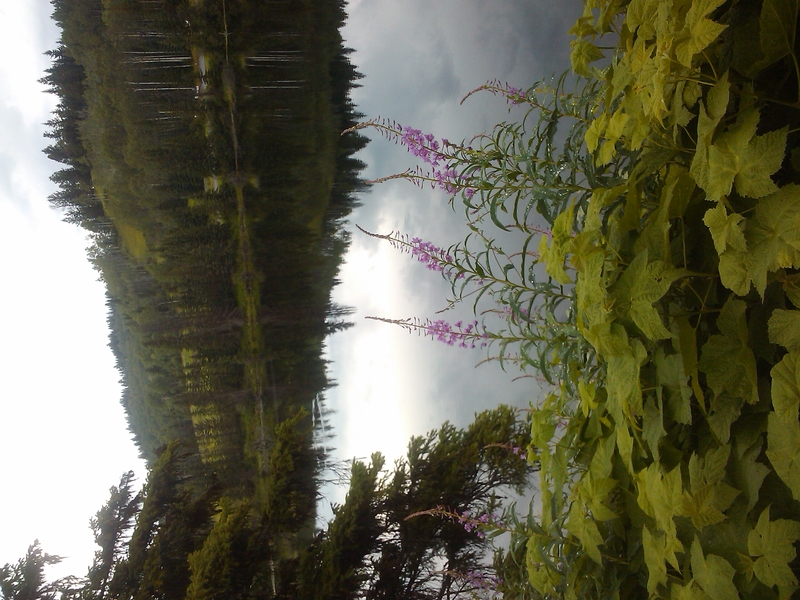 A handy resort/motel on a small lake east of Lone Butte BC on hwy#24. I had a burger and salad for a very late lunch in Clinton. Dinner tonight is peanut butter and jam dinner rolls left over from last night’s feast of bbq salmon with Ruth & Chris in Vancouver. I got an early start and passed through Whistler in rain and 12 degrees, all improved and I enjoyed Duffy Lake road in dry conditions. Temp was 28 in Lillooet. Long day but I rode over 500km. I got settled just before it began to rain. It’s a cozy place for the night and I’ve been invited into the main house/office to watch a movie. I’ll miss my best friend, wife and riding partner, Sammy. What a trooper she is to endure some long days. Riding 2-up for 500km is a challenge in the twisties; often at slow speeds in only 2nd and 3rd gears and sometimes making up time to catch a ferry, cruising at 130kph. 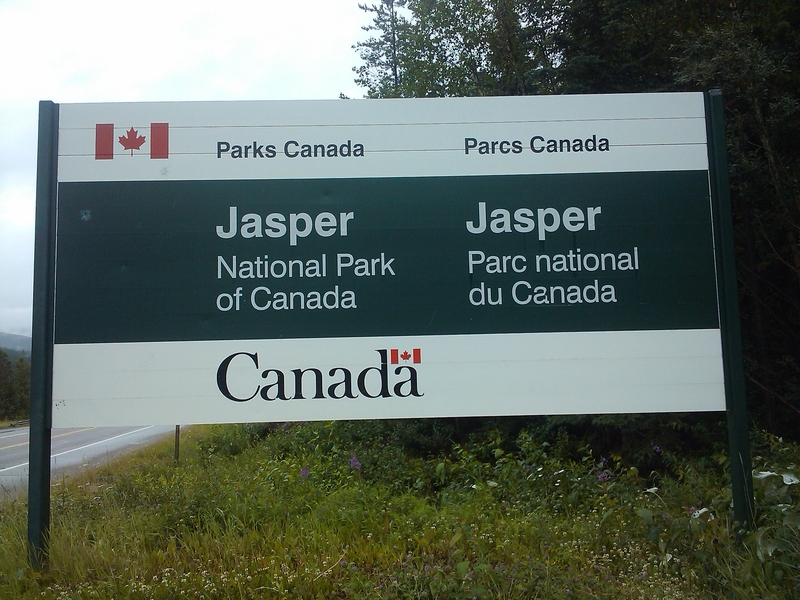 We had a fantastic week together riding some awesome scenic mountain roads and finding quirky places to visit or eat. Being off the beaten path is the best way to travel to meet nice people. We left Vancouver last Sunday and enjoyed rain to Whistler where we had lunch with our niece Ruth. 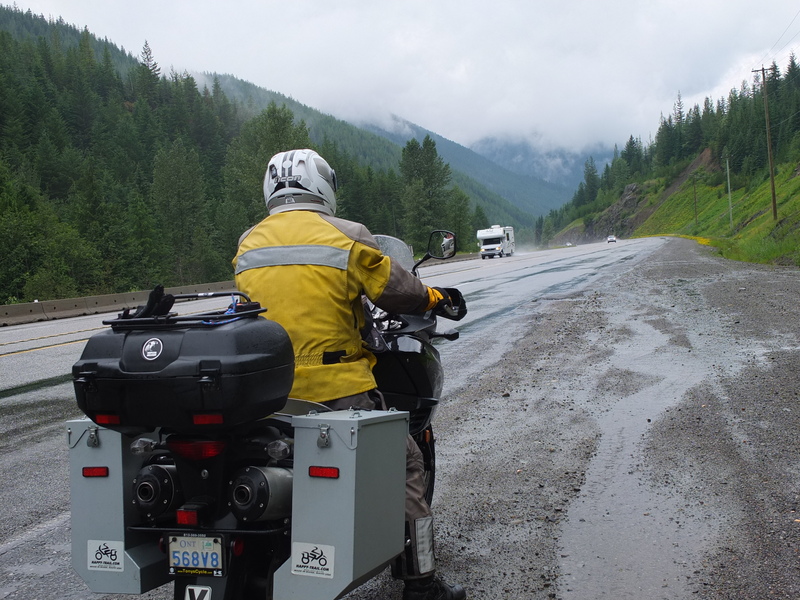 The rain finished and we had clean and dry asphalt to enjoy the Duffy Lake Rd from Pemberton to Lillooet. Woo Hoo. Yesterday, Friday, we rode from Osoyoos to Manny Park in changing conditions, sun to overcast to black shies and lightening. With rain gear as an extra warm layer for Sam we endured some torrential rain, hail and winds riding at only about 40kph; as fast as I could possibly see to ride. Visibility was nearly zilch with deep water collecting on the roadway. It changed to a moderate but continual rain all the way to Vancouver. 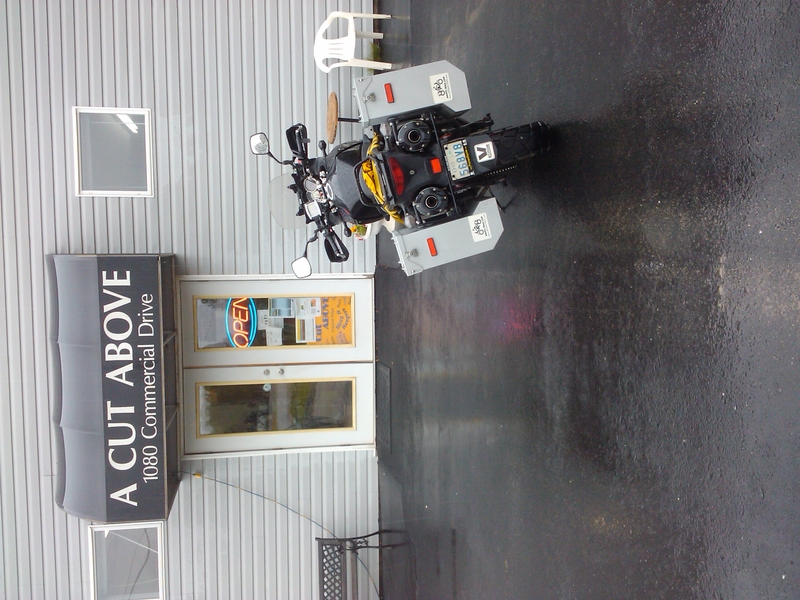 We met Tom (on a BMW 1200 LT), enjoyed his company for lunch at Home Restaurant in Hope and he decided to follow us along hwy # 7, avoiding TransCanada #1, to Vancouver. The last I saw of him was his a wave as split as we turned off to Ruth & Chris’s and he continued on to his destination. He was meeting up with some others to ride the same route that I’ve selected for my next 3 or 4 days. I’ll give him credit for enduring the weather and sticking with us. Some who have ridden with me know that my gps and I do take some interesting alternate routes. 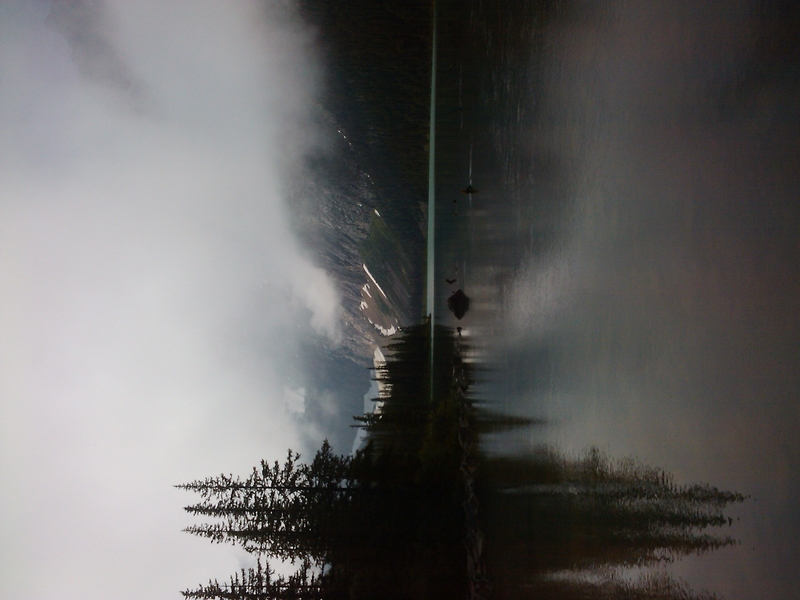 hwy #3 Manning Park – beautiful even in rain, mist and cloud.